I really like lace up chunky heeled hiker-type boots - like these suede ones that are 50% off. This studded red mini bag is 40% off. This burgundy foldover cross body bag (that looks like the expensive one) is only $23. My favorite lipstick brand - has this trio set for $23. These popular Tory Burch sandals are 33% off. This two-in-one sweater/shirt is only $35. I like this hooded sweatshirt that is only $18 - it comes in a lilac color (and several others). These are the cutest “no show” socks - what I wear with my booties (makes them so much more comfortable). This red sweater is on sale for only $15! I like this striped v-neck sweater. 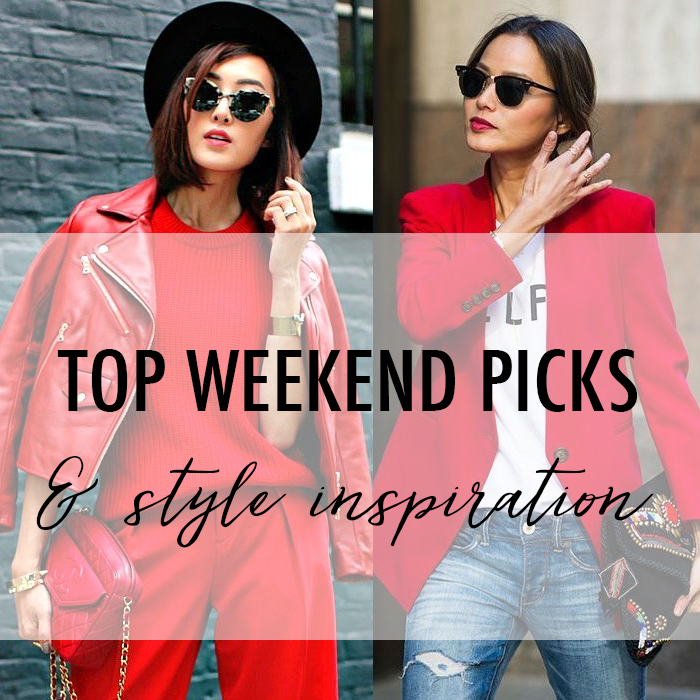 Just in case you missed it - I shared more picks yesterday. Chandeliers can be so tricky but I feel they are a necessity - I want one in very room! I love the table, rug, and chairs you have chosen. Now that we have updated our kitchen and painted the interior of our home I am ready to do a massive overhaul, my husband? Yeah, not so much, lol! Have a great weekend, I love seeing all the deals you share!